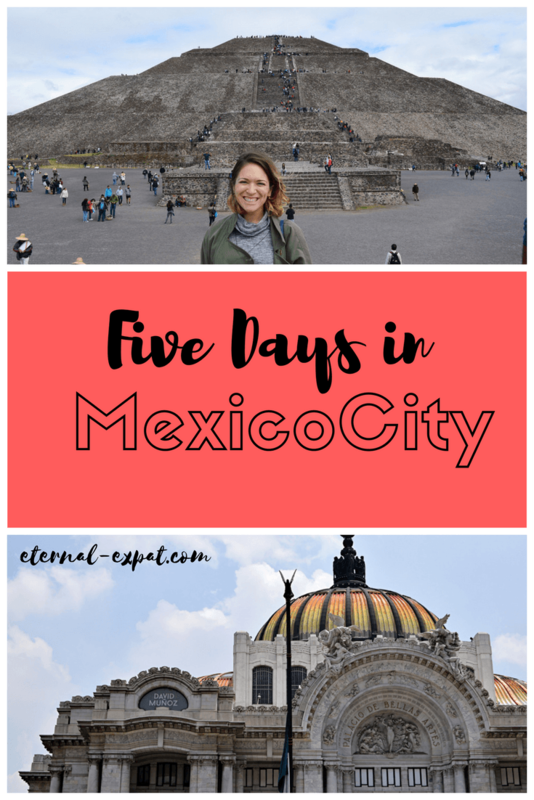 Five days in Mexico City is a great amount of time to see loads of sites and fill your belly with the very best eats. 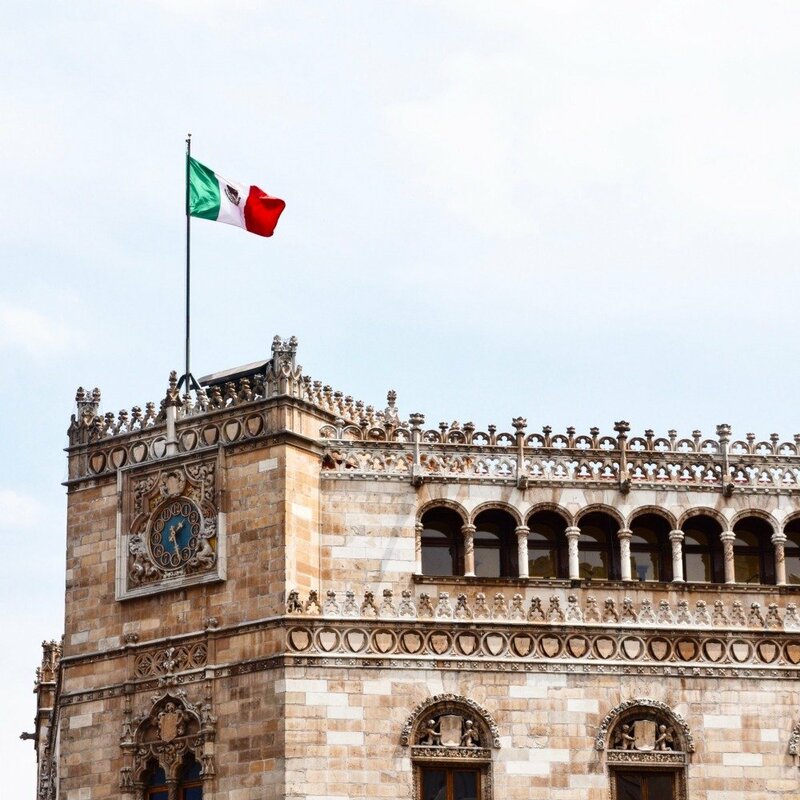 This 5-Day Mexico City itinerary will help you plan your days and nights, enjoy the bars and restaurants that the locals love most, and find the best possible places to stay. The first thing you need to figure out is what neighborhood you want to stay in. I wrote a whole post dissecting my favorite neighborhoods which you can read here. 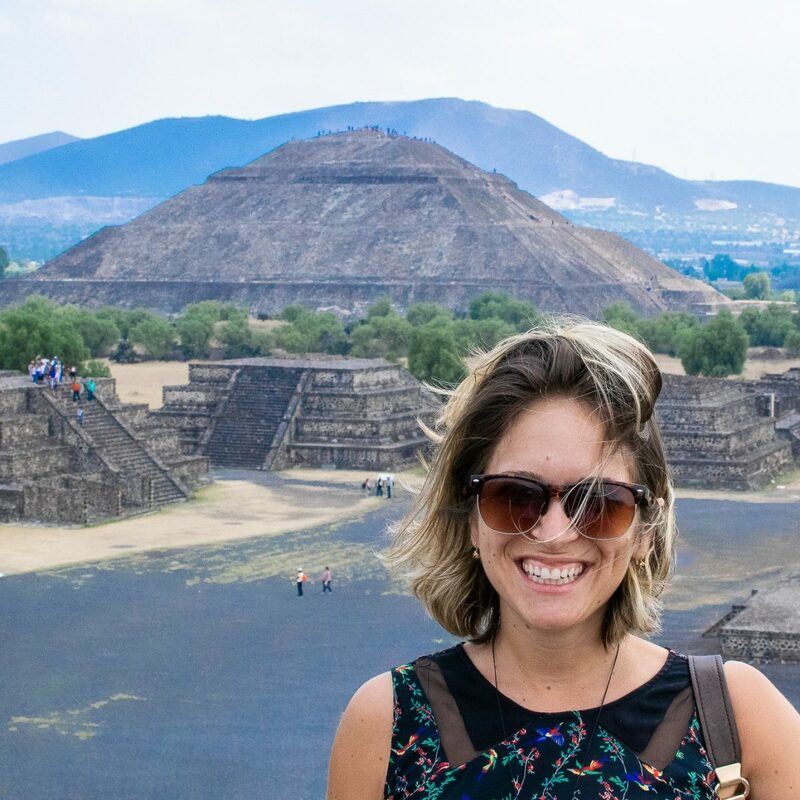 There’s the quiet tree-lined streets of Condesa, the hipster cafe culture in Roma, the galleries and restaurants in Polanco, the cobbled streets of Coyoacan, and the history of the historic center. Once you’ve chosen which neighborhood, it’s time to choose whether or not you want a big hotel, a boutique B&B, or a self-catered Airbnb. If you’re looking to stay at a big luxury hotel, I recommend the Hilton in the Historic Center or the Four Seasons near Chapultepec Park. They are both really well located and have everything you could possibly need. Neither are terribly expensive, either. 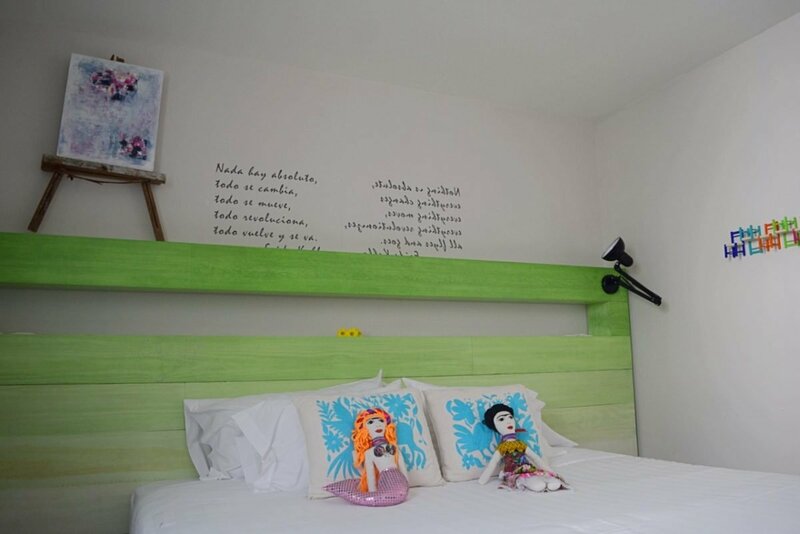 There are so many great boutique hotels in Mexico City that I love. My two favorites are Chaya B&B in the historic center and La Palomilla in Roma. I’ve personally stayed at these B&Bs and I absolutely loved my experience at both. Chaya B&B is super chic and the breakfast was incredible. La Palomilla is really well located and the staff was so friendly. If you’re more of a self-catering kinda person, then I really recommend checking out Airbnb. There are so many great places on there all over Mexico City. These are my absolute favorites that I’ve tried. The historic center is packed with stuff to see and do. I recommend starting at Parque Alameda Central on Juarez Street in the center. Around the park, you’ll find tons of street food and stalls to shop in. There are benches where you can sit in the shade and watch kids play in the fountains. 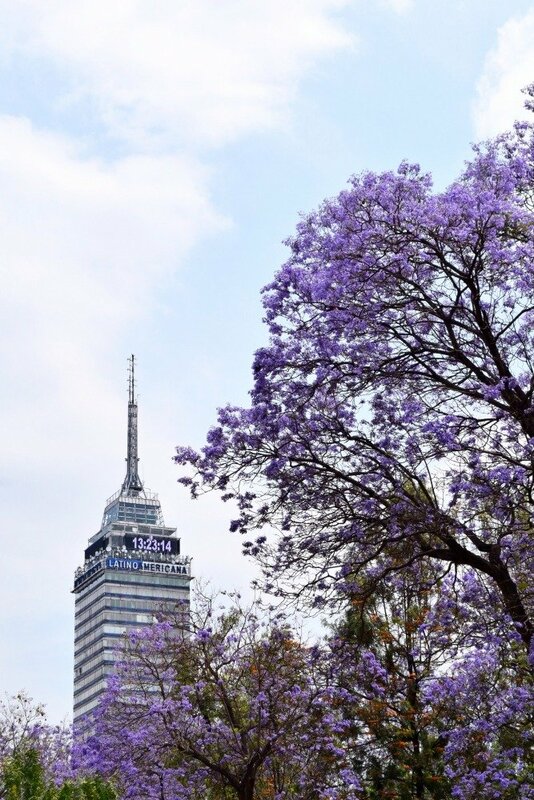 As you walk from one side to the other you’ll get a good glimpse of the Latinoamericana building – the ugly skyscraper with a great view of the city. Be sure to stop for food at one of the stalls in Hidalgo Square. The square has tons of different street stalls selling everything from tacos and quesadillas to pambazos and gorditas. Check out this post where I talk all about the best street foods in the city and where to find them. Next, take a walk down the busy pedestrian street, Avenida Francisco Madera. Be sure to keep your eyes peeled for the beautiful blue tiles on the buildings at the start of the street. As you walk down you’ll notice tons of different churches that you can visit. On the outside, they look very similar, but inside many of them are incredibly ornate. At the end of the street, you’ll finally reach the zocalo or the main square. To your left is the cathedral which is definitely worth a visit. If you time it right, you can go on a 20 peso ($1) tour which takes you onto the roof of the cathedral. Tours are every hour on the hour and you can get your ticket inside the cathedral to the right side at the help desk. Then I recommend heading to Templo Mayor. It’s just behind the cathedral and is an Aztec ruins which are still very well intact. Tickets cost 70 pesos ($3.50) and it allows you to enter the site and explore as well as go into the museum which is really interesting. If you’re interested in the history of Mexico City this museum is a must. 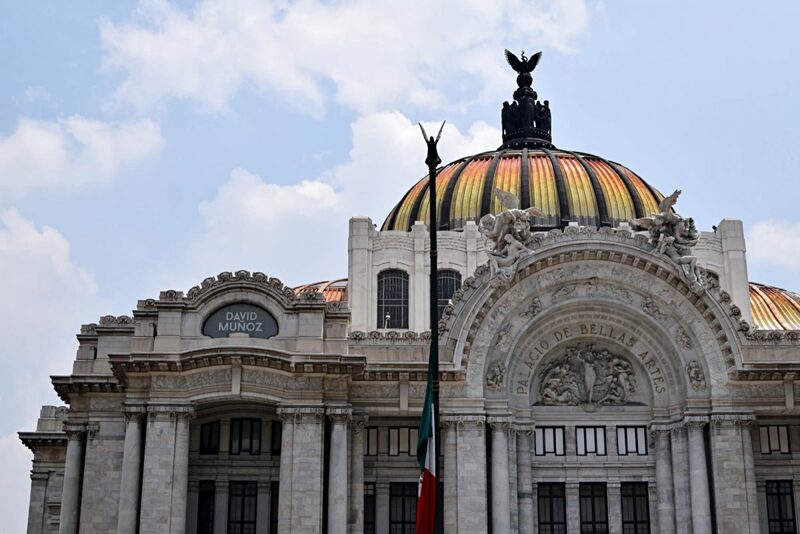 The last stop on the Centro Historico tour should be a stop at the National Palace. Also located in the Zocalo, the National Palace has been home to the government of this region since as far back at the Aztecs. Entrance is free, but you need to have a passport or other federally issued ID in order to get in. Inside you’ll find one of the most incredible murals by Diego Rivera in the whole country. After a day of walking and exploring, you’ve definitely earned a drink. There are a few options around the Centro Historico that are worth a visit. The Gran Hotel is a beautiful old hotel just off of the main square with a lovely bar called La Terraza. You’ll have awesome views back over the square. If you want something a little bit more local, head back towards the Bellas Artes and across Parque Alameda Central to Barrio Alameda. This art deco-style building has tons of great restaurants on the bottom floor, but take the stairs to the top for a perfect rooftop bar. La Azotea is a cool little bar that makes great cocktails and has a huge selection of craft beers by the bottle. Chapultepec is not only the largest park in Mexico City, but it is supposedly the largest urban park in the Western Hemisphere. The park is well laid out with tons of walking paths and benches to just sit and people watch. The park also has several museums that are worth visiting. I recommend heading to the National History Museum first. It’s located in the castle and the views out over the city are spectacular. You can easily spend a few hours wandering around the castle, which is the only castle in North America that has had actual royals live in it. The gardens are really lovely, too. Then you should grab some lunch. There are tons of places in the park where you can have antojitos – little Mexican snacks like tacos or flautas. There is a big cluster of these places near the lake. Then head across Paseo de la Reforma to the Museum of Anthropology. This museum is enormous and has so many artifacts. When I went for the first time I spent over four hours here! My boyfriend is one of those people who has to read allllll the plaques. But it really is a fascinating place. The courtyard is a nice place to sit and take a rest between rooms. Be sure to make to the back of the museum where all of the Mayan and Aztec statues are. You’ll no doubt be museumed-out by the end of the day. 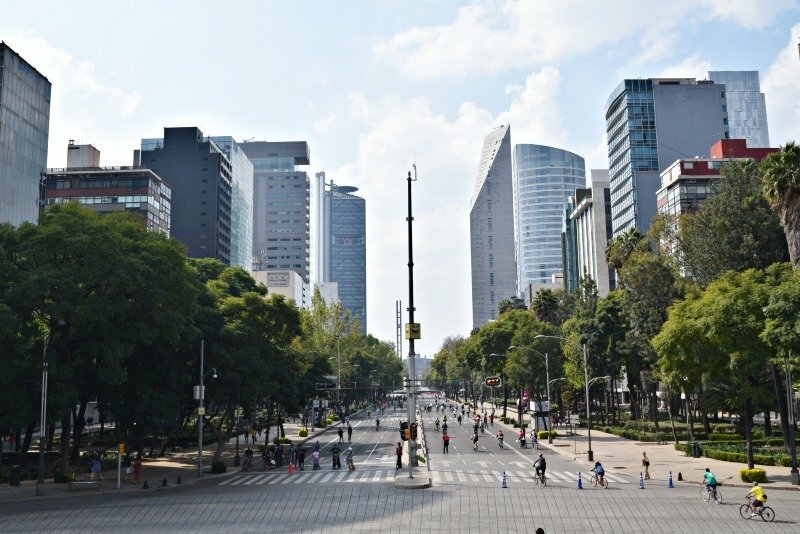 Take a walk along Paseo de la Reforma from the park back towards the city center. It’s a beautiful road that was designed to look like the Champs Elysees in Paris. It carries on straight down from the castle. Grab an Uber to Alvaro Obregon in Roma to enjoy a huge selection of bars and restaurants. El Palenquito is my favorite place for mezcal and El Deposito is a good spot to try local Mexican craft beers. There is an abundance of taco stands along this street, too. 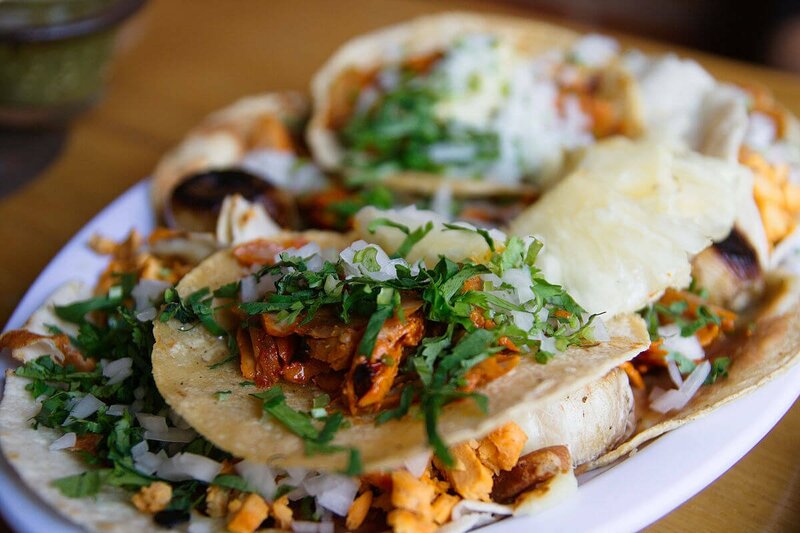 Don’t miss out on the Pastor tacos – they’re one of the few dishes that actually comes from Mexico City! Coyoacan is one of my favorite neighborhoods in Mexico City. The old town has excellent shopping, my favorite coffee shop is here, and it is home to the best deep fried quesadillas you’ll ever have IN YOUR LIFE. Depending on what time it is, I recommend taking a little stroll around the town first. Check out the church, which is actually incredibly ornate inside. Wander into the artisanal market. Go past the bright yellow building which used to be home to Hernan Cortes while he helped the Spanish take over Mexico. The Coyoacan Market is a great place to explore, too. On Sundays, the park across from the market hosts an art fair where local artists sell their work. Coyoacan market also has the best tostadas (or at least the most well known) in the city. As you wander around the market, look for the bright yellow signs and tables and chairs and waiters. You can’t miss it. Once you sit down you’ll be given a slip of paper where you can write down your order. I recommend the mole and the ceviche. Pretty much everything is delicious, though. Don’t fill up quite yet. It’s time for quesadillas. Head to Antojitos Mexicanos on Higuera Street. You’ll see it on the left – an open market with tons of little stalls inside. The husband and wife duo at stall number 13 are my favorites, but stall 14 is a close contender if there aren’t any seats available. When you get there they’ll give you a little notepad and pen. Write down your order – try the huitlacoche quesadillas, they’re my favorite! Don’t forget to write your name on the paper so they know who to call when it’s ready. 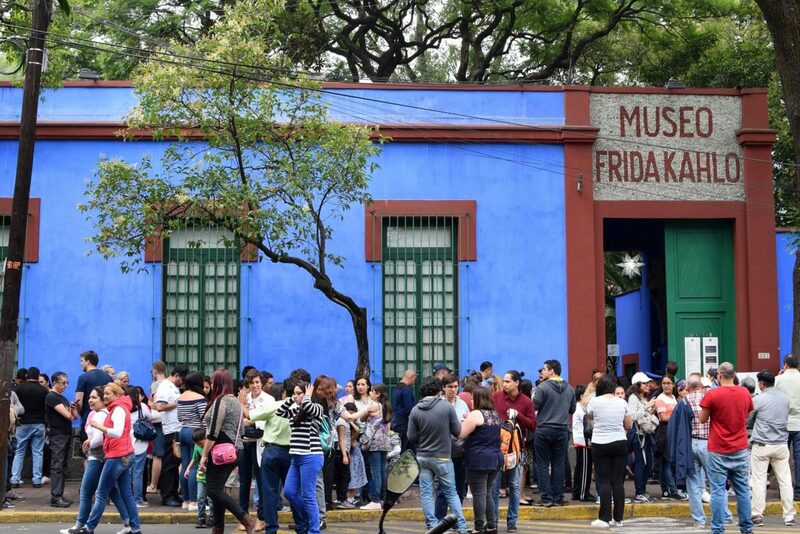 Coyoacan is also home to the Frida Kahlo Museum. Be sure to book your tickets online ahead of time so that you don’t have to wait in the ever-present line. It’s a really fascinating look at her life and a lot of her work. If you want a good cup of coffee, skip the line at El Jarocho, where most people head and opt for the quieter Avellaneda. For drinks try Centenario 107 – they have a huge selection of craft beers on draft and the decor is really cute. For more information about Coyoacan, check out my full post on What to Do in Coyoacan. The nice thing about a tour is that they pick you up and drop you off at your hotel and it includes lunch. You also learn a lot more about the history than you would if you went alone. You’ll also stop at a few other sites which are kind of difficult to get to on your own – the Basilica de Guadalupe and the Plaza de las tres Culturas. Xochimilco is a really cool place where you can rent a boat and explore the canals. Did you know that most of Mexico City used to be made of canals, kind of like Venice? When the Spanish arrived they filled in many of the canals and turned the city into what you see today. 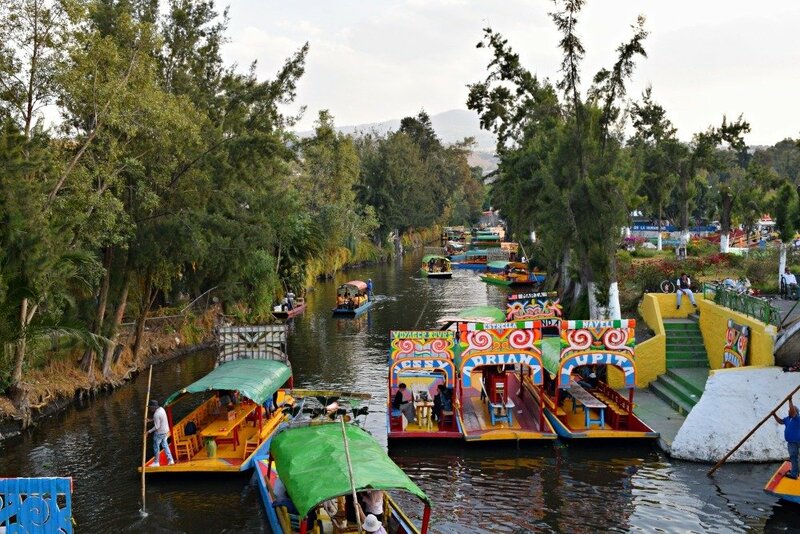 Xochimilco is now the only place you can visit and experience a little bit of the city’s past. Hire a boat for about 1,000 pesos and bring as many people as you want for that price. The tours are usually about two hours and they take you around a few places, including the creepy doll island. 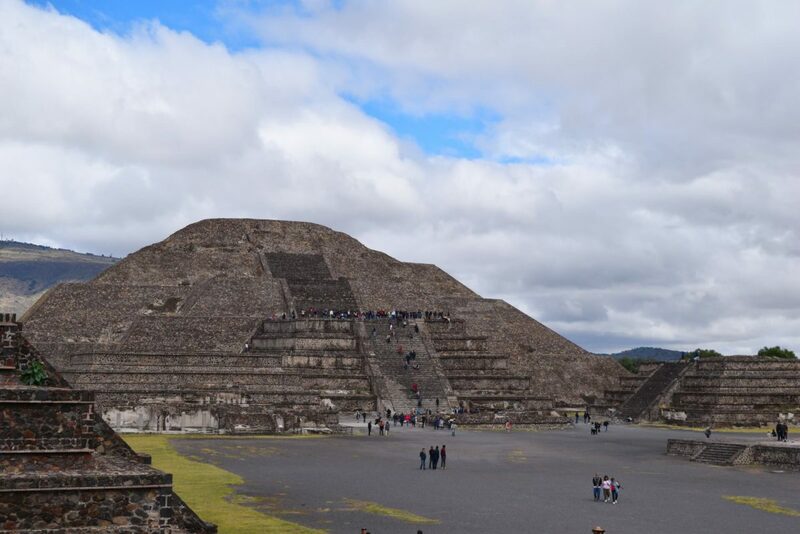 You can go on a tour as well, which like Teotihuacan, includes a few other local stops and even more food and tequila drinking. The only tour company I’ve tried in Mexico City has been Olympus Tours, but I’ve always been really happy with their services and guides. 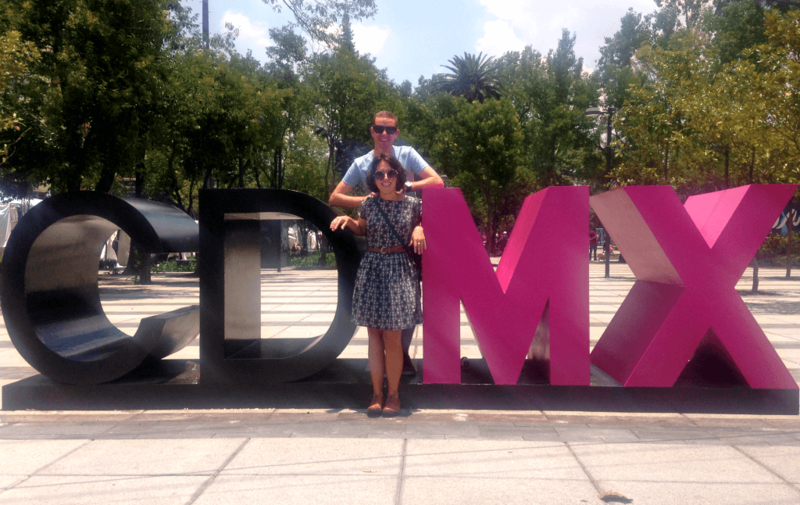 Getting around Mexico City can be as convenient or cheap as you’d like. There’s the metro which can take you basically anywhere for 5 pesos (25¢), but is often very busy. Uber is another great way to get around Mexico City. It’s incredibly cheap compared to taxis in say New York or elsewhere in the U.S. There are also white and pink taxis that you can take, but it is best to grab those from sitios, or taxi ranks, rather than simply hailing them from the street. Many taxis don’t have or don’t use meters. Just be sure to discuss how much it will cost before heading off with them. If you plan on using the metro, I recommend downloading the app, Mapway. It’s my go-to for getting around the city and it shows you exactly which lines to take to get to the destination you want to get to. It also tells you whether an Uber would be better/faster.